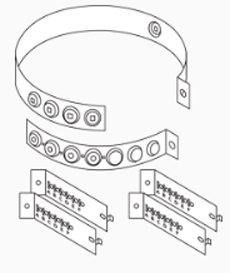 Home :: Chimney Components (Classic, E-Classic & Pallet) :: Chimney Attachment Ring, 8"
Used with electrical conduit (not included) to reinforce chimney when five or more sections are used. 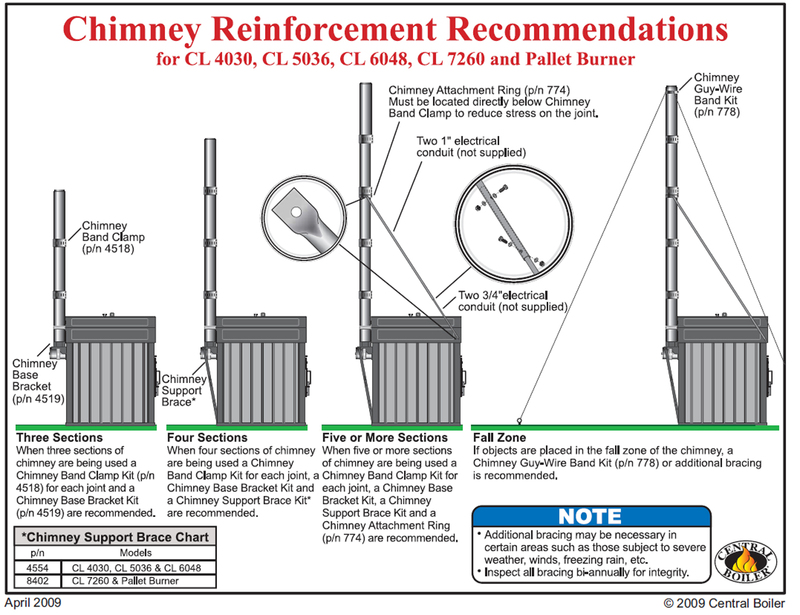 Must be located directly below 8" Chimney Band clamp kit to reduce stress on the joint. Also for use on an interior or exterior wall to stabilize chimney while providing required clearance from combustible surface. Use of Chimney Attachment Rings at maximum intervals of 8 feet is recommended.